Having lived in Hong Kong for over 3 years now, I’ve discovered a few insider tips that people don’t realize when they first move here. It’s only when you get settled in or you hear it from friends when you figure these things out. 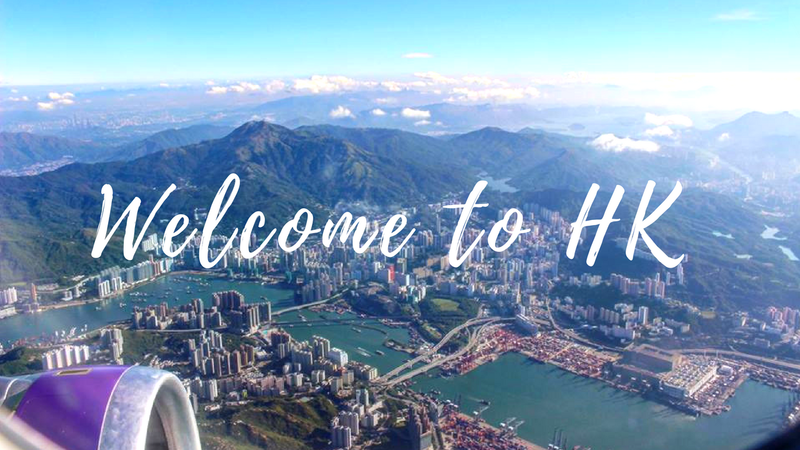 However they can come in handy, and I hope with my experience I can help some of you save time navigating the inconveniences of settling into life in HK. 1. Immigrations: go to the earliest appointment in the day. Arrive 15 min early before the official office opening time. Each hall or floor has different opening times depending on what you are trying to apply for. Have all supporting documents ready (forms, original ID, copies of ID including passport and HKID), have extra photos ready, have enough cash ready as they don’t accept anything other than cash and the nearest ATM will be far. If you are not sure what you need to bring, check their website or call in to double check. Bring a book, iPad, laptop, or anything that will keep you busy. 2. If you need a quick ID photo, Admiralty station and Wanchai station has photo booths. They only take certain notes, if you don’t have the exact amount, exchange at the MTR information counter. 3. Banking Business: To open an account, you will need an official letter from your company stating that you work for them and how much your monthly salary is. Upon applying, you will not get a bank card immediately. The wait time is 1-2 weeks. A credit card application is separate, and sometimes HSBC requires your first month’s salary slip. If you can’t wait that long for a credit card, open an account at Citibank, you’ll get the card within a week and their online banking is great. 4. Cash Withdraw: If you are an HSBC bank card holder, you can also withdraw from Hang Seng ATMs with no fee. Most MTR stations will have Hang Seng ATMs. No ATM? No problem, you can withdraw from 7-11 with the EPS service on your check/bank card, just have your ATM pin ready. You’ll have to purchase something (just get gum or a bottle of water), and the max per withdraw from 7-11 is $500 HK. 6. Airfare deals – Cathay Pacific Fanfares: these come out every Tuesday at 8am. You can find flights all around the world with very good deals, sometimes there are premium economy or business class seats up for grabs. They expire within 1 – 5 days, so book quick! Other than fanfares, zuji.com.hk is the most common site to use. 7. Ground Transportation: you have 4 to pick from, the MTR, Trams, Taxi, and on foot. If it is between stations or within 1 station on Hong Kong Island, on foot is usually quicker (other than admiralty, which is hard to walk around due to all of the overpass motorways that run through it). If it is around 2 stops, the Tram is quickest because it runs on ground, whereas the MTR will take ages because you first have to go 3 floors underground to catch the train. The MTR is always quicker than the taxi is it is during rush hour. 8. Renting in Hong Kong: Expect to be shelling out 30-50% of your monthly salary on rent. Most deposits plus agent fees (2mo deposit + 1 mo agent fee you don’t get back) is expected to be paid in cash on the spot of signing “guarantee of apartment”. Sometimes if you’re lucky, they’ll take bank transfer or cheques. Sometimes high speed internet and utilities (water/electricity/gas) is included in the rent. The owner should be responsible for paying for replacements or fixing costs of A/C units, washer and dryer units, fridge, or anything that came with the flat. If utilities aren’t included, I would recommend to pay a lump sum in advance for water as it is very cheap and saves the hassle of transferring a little amount of money monthly. 9. Bug Bombing the flat: if you live above or nearby a street that has a lot of restaurants, or you are terrified of bugs, I’d highly recommend getting a bug bomb from “Japan Home*”. They are a tin can a size of a mug. After adding water to the can, it will start to fizzle and then let out a really strong chemical steam. The room will fill up within 5 minutes, so you’re recommended to leave the room (with all windows closed) and come back in a few hours. This should kill most bugs, include baby sized roaches. If you are still not sure, you can always get a professional to do the work for you. *Japan Home is a chain store that sells everyday household items and small appliances. 10. Dressing for the weather in Hong Kong: If you arrived in summer, prepare to sweat a lot and for your hair to curl up like never before. Indoor areas will be strongly air conditioned so a light sweater or cardigan is helpful. There can be downpours at times but they are short in duration (unless a red/black rain warning is hoisted, these represent a different mm amount of sudden downpour). If you are arriving in winter, you will most likely not need your thickest winter jacket. It rarely goes below 10C, and usually stays around 15C. There is no indoor heating in most homes, but the MTR stations will be very well heated. You’ll be sweating if you have a jumper on. Regardless of which season your arrival is, a dehumidifier is highly recommended. HK’s humidity levels are usually around 80-90%, which means things get moldy quickly and clothes won’t dry. Leave it on while you are out for the day to ensure a fresh, clean flat. 11. Get a part time maid, especially if you busy and often work overtime, it will save you a lot of time and won’t cost as much as you think. They can come twice a week to clean the flat, do the laundry for you, ironing, take out the trash, do grocery runs etc Plan for a mon or tue clean and Friday clean. That way you have a clean flat for the week and weekend. Oh, they can also walk your dog for you, if you have one. 12. Getting Medicine: If you ever need medicine, you can go to bigger pharmacies like Watsons or Mannings for the pharmacists. However the hours are limited and they carry less items. If it is later at night, and you just want to pick up some meds without waiting for an hour at the clinic, go to a local pharmacy. You’ll see some of them have toiletries or Chinese medicine displayed outside. The character for a pharmacy is 藥, or you can look for a red cross with Px written in the middle, and you can find almost anything – antibiotics over the counter, hydrocortisone cream (anti itch). If you can google a picture of what you’re looking for, there’s a very high chance they’ll carry it, or something similar. Do you have any other insider tips to share? Leave a comment below!